PPC marketing can be a crucial part of an overall internet marketing strategy for businesses. While an effective PPC campaign can quickly drive an increasing amount of targeted traffic to your site, it can also result in more conversions and new business leads. In other words, PPC advertising can be essential to enhancing your business’ visibility online. 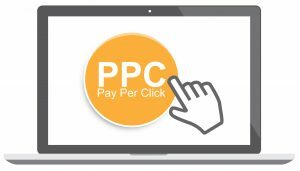 At Epic Visibility, our team of internet marketing professionals has extensive experience developing and implementing successful PPC campaigns for various types of businesses. Skilled at creating targeted, effective PPC campaigns, we are ready to help you use your next pay-per-click ad campaign to drive more new leads – and revenues – to your business. Transparent monthly campaign reporting and full account transparency. Let’s Take Your Business to the Next Level!